ATD SCC - COACHING CoP: Coaching Distuptors: Are We Ready for the Future? COACHING CoP: Coaching Distuptors: Are We Ready for the Future? Our November 16th meeting will be a unique opportunity to step back and look at the future of coaching. We will explore key trends, divide into groups to brainstorm strategies to face these challenges, and share what we learn with each other. • Artificial Intelligence - Will bots and apps replace the need for human coaches? How do we compete with technological alternatives to coaching? How can we embrace technology to be more effective? 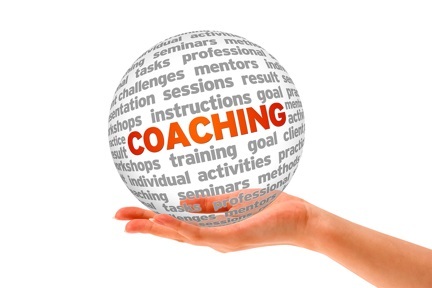 • Internal Coaching - Companies are developing internal cadres of coaches to save money and ensure consistency. And as part of developing coaching cultures, managers are being trained as coaches as well. Where do external coaches fit into this shifting paradigm? • Increased Specialization - The increase in the number of coaches entering the field from a diverse set of backgrounds is driving a need for market differentiation. What expertise, background and training will position us best? Due to the room size, the first 20 respondents will be welcome. Please register by Friday, November 10, 2017 to reserve your spot and ensure you have a seat! We appreciate your understanding. A wait list will be available once the first 20 seats are filled. If you are registered and unable to attend, please cancel via email to Denise or Karen below, so that we can offer your seat to someone on the wait list! These events are sponsored by ATD Southern Connecticut Chapter (ATDSCC) and are open to all interested practitioners. There is no cost for participation in the Coaching Communities of Practice for members of this chapter.